Award Winning Products, Unparalleled Service. We are Sundeck Centre Ltd. in Lake Country, BC, the Okanagan’s leading deck company with over 25 years experience! As the authorized dealer and installer of Tufdek™ vinyl decking in the Okanagan Valley, Sundeck Centre believes that your deck should bring relaxation and not more work. We are the true experts when it comes to low maintenance waterproof decking for outdoor areas, and only use the finest decking materials and installation methods. For all new deck construction, decking repairs, and patio renovations, Sundeck Centre offers Tufdek’s™ low maintenance waterproof vinyl decking products. Known as “the world’s strongest vinyl decking”, Tufdek™ is ideal for outdoor living areas, balconies, sundecks, patios and rooftop patios, walkways, and above grade concrete slabs. Form and function are combined in this clean elegant vinyl decking that offers wear resistance, stain resistance, U.V. protection and easy to clean deck flooring. We also offer aluminum railing, Infinity glass railings, and other deck railing systems for a complete package deck. All of our decking products come with excellent manufacturer warranties as well as our own full five-year labour warranty. “We are so pleased with both decks and knowing they’ll be good for years to come! Ken did an awesome job too. Thanks again for doing this job for me.” Delores T.
“Thank you for your help and going the extra mile in regards to letting us know of the on-sale vinyl, extra use of the bin, repair & paint of the stucco. Your service and work was A-1 and I will highly recommend you to anyone needing deck work.” Judy K.
Is it time to repair your old deck or finally build your brand new dream deck? Sundeck Centre would be happy to provide you with a no obligation, complimentary waterproof vinyl decking quote for your home or commercial project anywhere in the Okanagan. 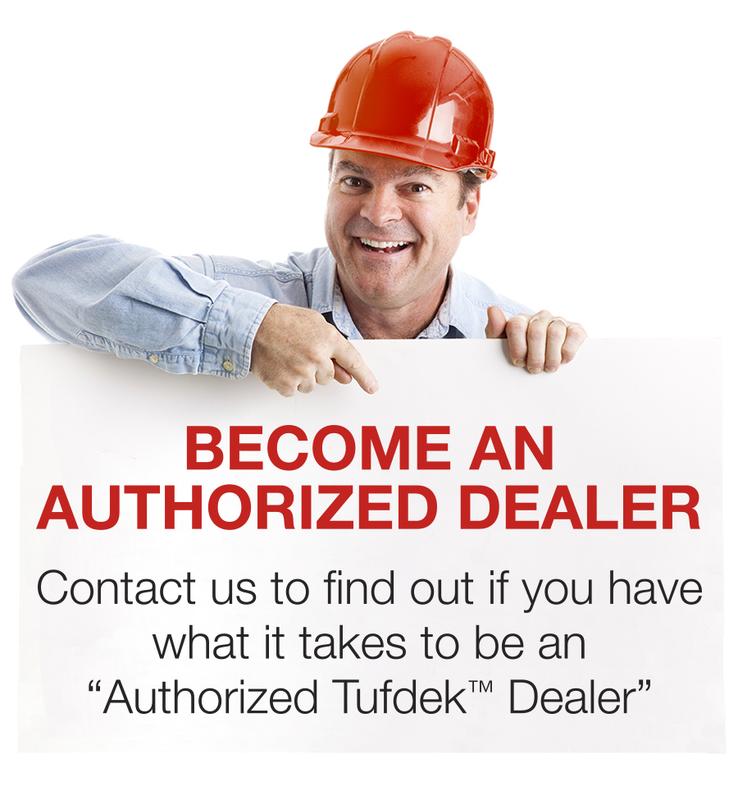 Call our Tufdek office toll free at 1-877-860-9333 or complete the following contact form.